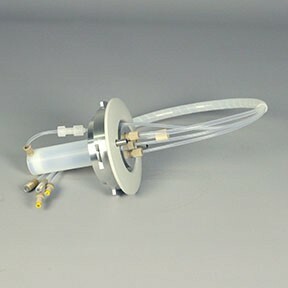 The Reaction Vessel Attenuator Assembly consists of the Liberty Blue attenuator assembly, tubing, and 30 mL reaction vessel. Note: This assembly is not compatible with the HT12 or HT24 options. For systems with the HT12 or HT24 options installed, use PN 551130.